ONE KIT LEFT! Give us a call if you’d like to claim it! (913)-268-3333. 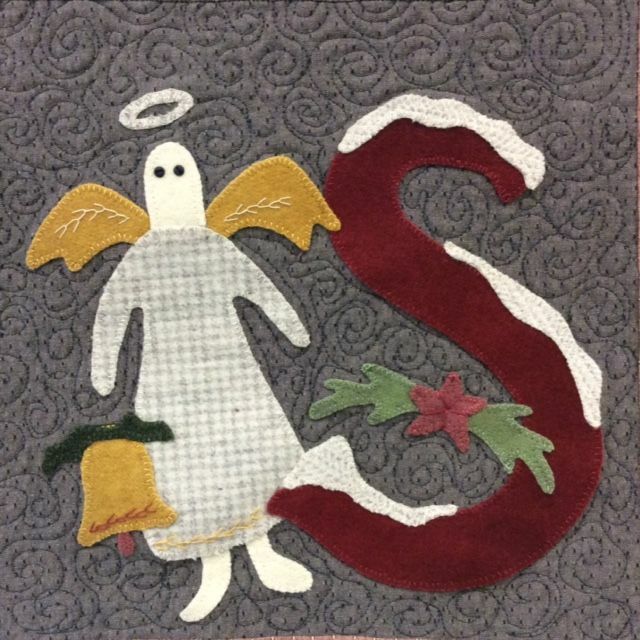 This wool applique BOM by Buttermilk Basin is 42" square and is made of wool applique on woven backgrounds from Diamond Textiles. 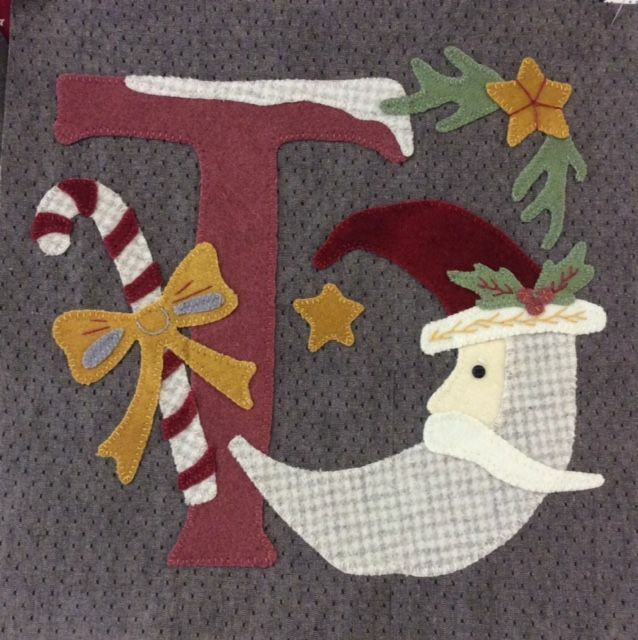 There is also a bit of dyed velveteen applique in some of the blocks to add a richness and elegance to the overall quilt. 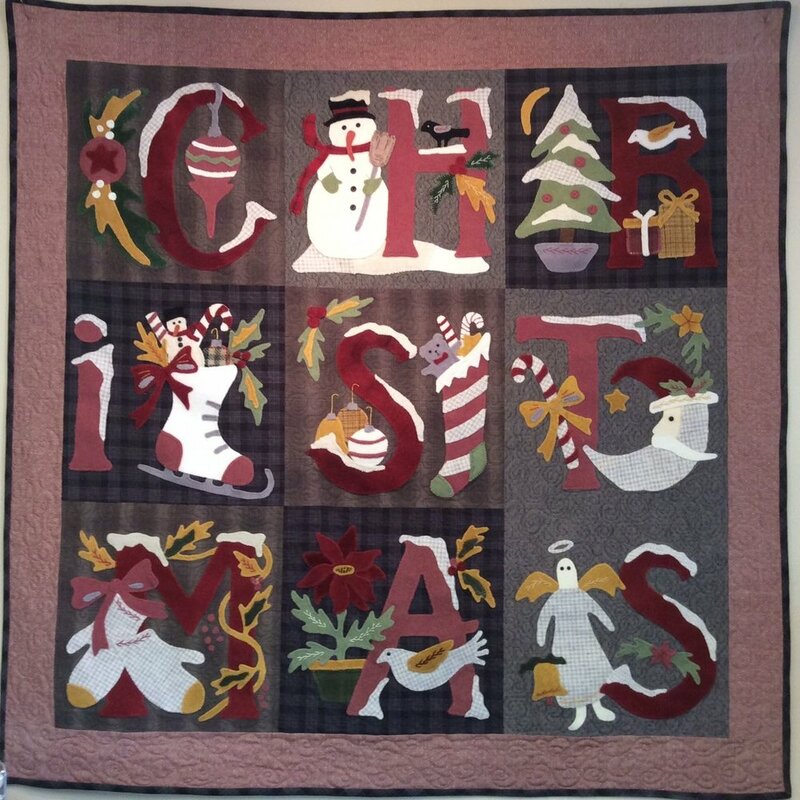 Merrie Christmas is a nine-month BOM with borders and binding included in Month 9 kit. 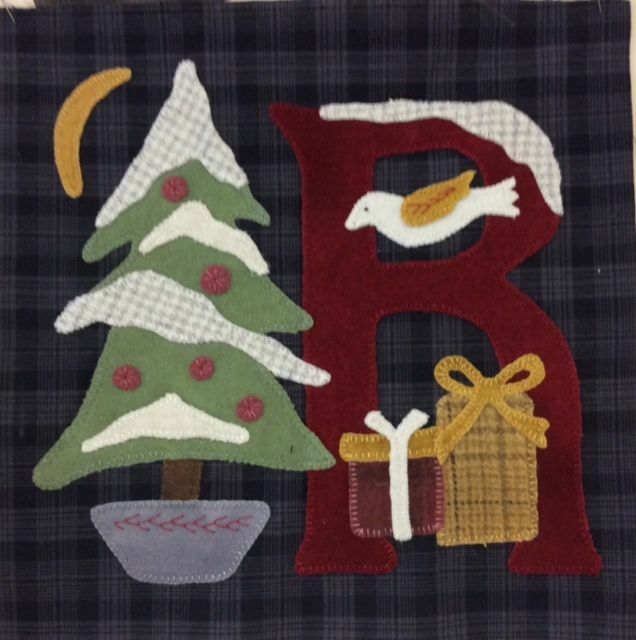 It is $20 a month which includes pattern, background fabric, wool and a bit of velveteen for applique, and border/binding. In addition you may want to use a fusible web such as Heat n Bond Featherweight or Soft Fuse, and select your own thread types and colors. It is so much fun to work on; the blocks turned out beautifully! One full kit left! Please purchase complete kit. This Buttermilk Basin pattern calls for embroidery floss to be used; however, I used whatever I had onhand. Some of it was floss (I used two strands unless instructions said otherwise), some Perle cotton, and Sulky 12 wt. For the Old Rose color I use Cosmo floss 654, gray was Cosmo 153A, gold Cosmo 574. The Sulky 12 wt. I used is 712-1169 for red, 1270 for light green wool, and 1082 for any cream, beige or other light neutral wools. I don't fuss too much over an exact color match, but just coordinate; that seems to be the way with wool applique. If it does not blend in it makes a nice color accent or outline. In any case feel free to do whatever you want with thread types and colors.